Hand made black lace fascinator on the headband from exclusive Max Alexander collection. This fascinator is made in Melbourne to order, so please allow 2-3 days for making of yours. An elegant choice for Melbourne Cup, races or a special event. 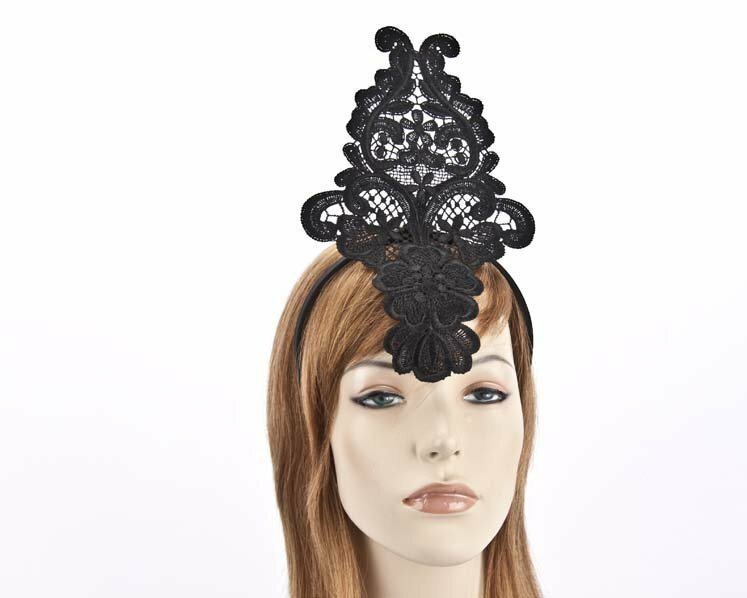 Buy fascinators online from Australia largest online store!